Sports Stars of the Future? Topic: Sports Stars of the Future? Re: Sports Stars of the Future? 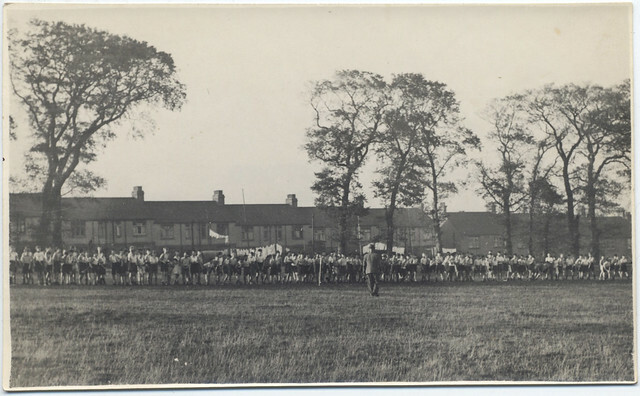 I found another photo in the set showing housing beyond the school field. Anyone recognise it? For many years my father's classroom was just inside those doors so I remember them well! And for many of those years there were masses of puppets hanging from the ceiling of the room! Good point, I had forgotten about those doors! I thought it looked like either the main entrance or the one further along, closer to theCornwallis Ave side of the school. It's a pity Woodlands isn't still a school - I'm sure if it was I might be able to ask them to help look into it for me, at least in terms of when Miss Barr taught there! (I do have one document in the collection from the school dated 1960, so I'm pretty sure she was there then, but how long before or after she was there I don't know. 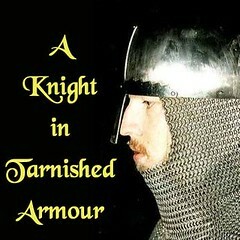 I found these photos in a collection of photos associated with the Barr family from Deal/Medway. The back of this photo has a handwritten inscription saying "Miss Barr" - I assume this is a sport's day or something similar from a school Doris Barr taught at. 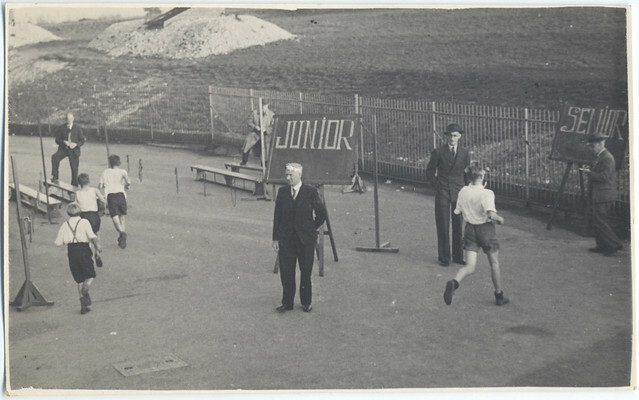 Note the air-raid shelters dug in the school field, suggesting a date during, or soon after, World War 2. Presumably this is from the 40s or early 50s. I think the school might be Woodlands School in Gillingham. winners from the sports day in the previous photo. 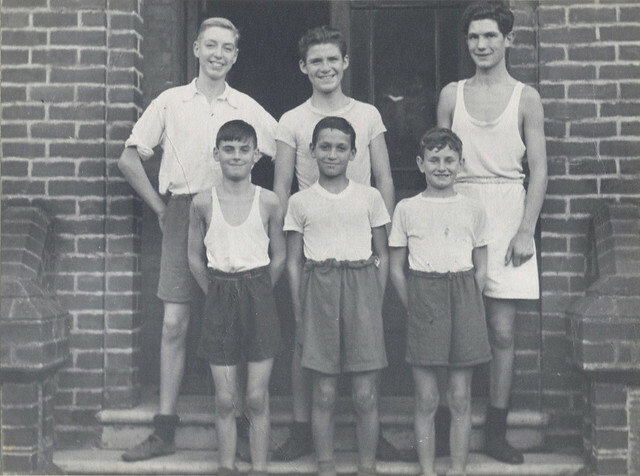 Anybody recognise any of the boys or the school?